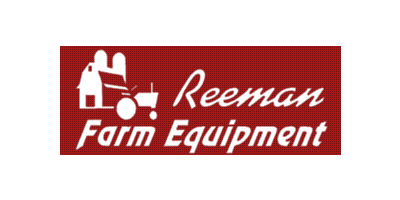 Reeman Farm Equipment was established in Fremont Michigan in 1971. We are located on M82 just west of downtown Fremont, on the corner of M82 and Green Street. We offer service, parts, and sales for Case-IH, Case, IH, Cub Cadet, Grasshopper, PJ trailers, H&S farm equipment, Monosem planters, Boss snowplows, Krause, Kongsklide, Remlinger, Calumet, Jaylor Vertical mixers, Gerringhoff, Yetter, Holland Grills and Country Clipper mowers.